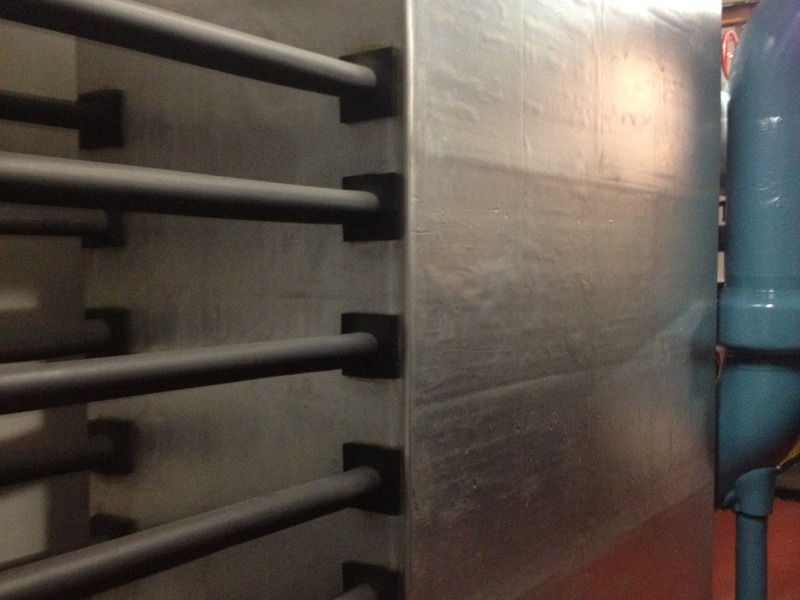 Liberty Universal is a mechanical insulation company committed to energy conservation. 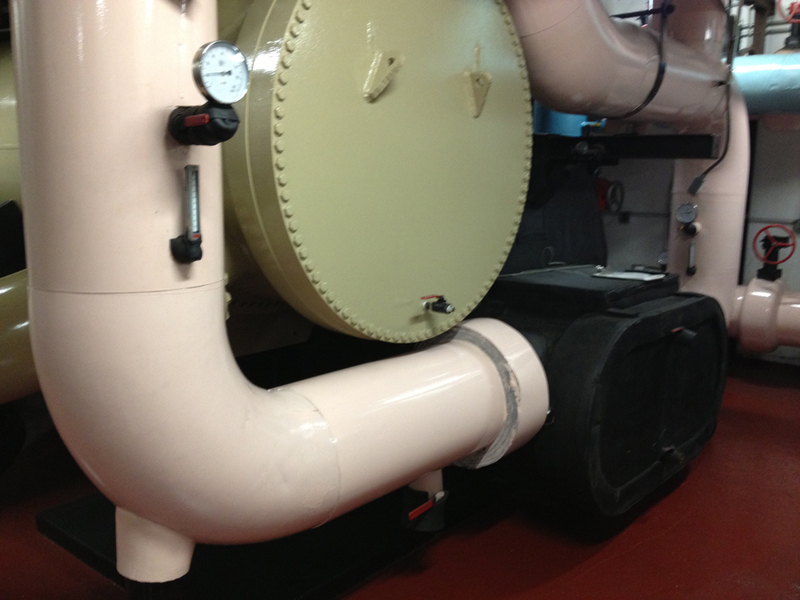 We offer insulation services for (but not limited to) Metal Box Pump Covers, Chillers, Cooling Towers, Generator Exhausts, Power Plants, Ice Plants, Mechanical Equipment Rooms, Kitchen Exhausts, PVC Jacketing, Aluminum Jacketing, piping and duct work. 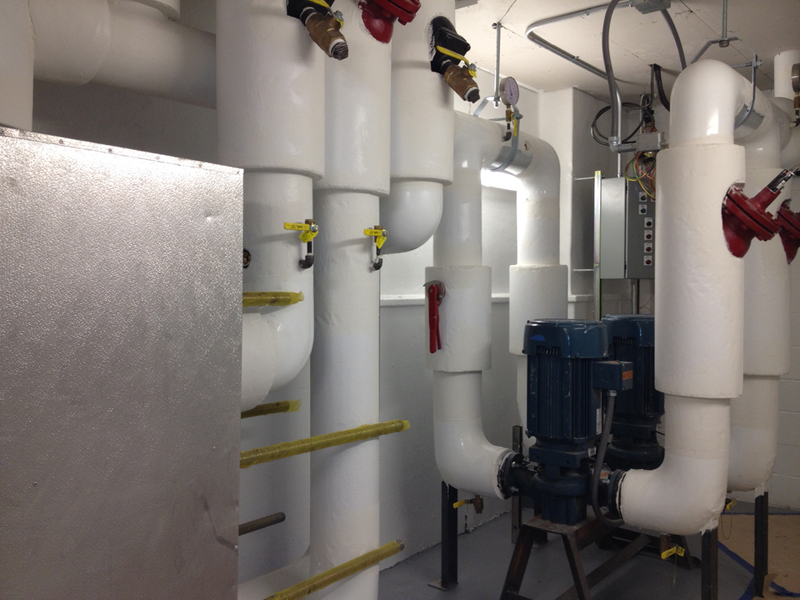 Insulated with Armaflex Rubber, Fiberglass Pipe Covering, PVC Fitting Covers and Color Coded. 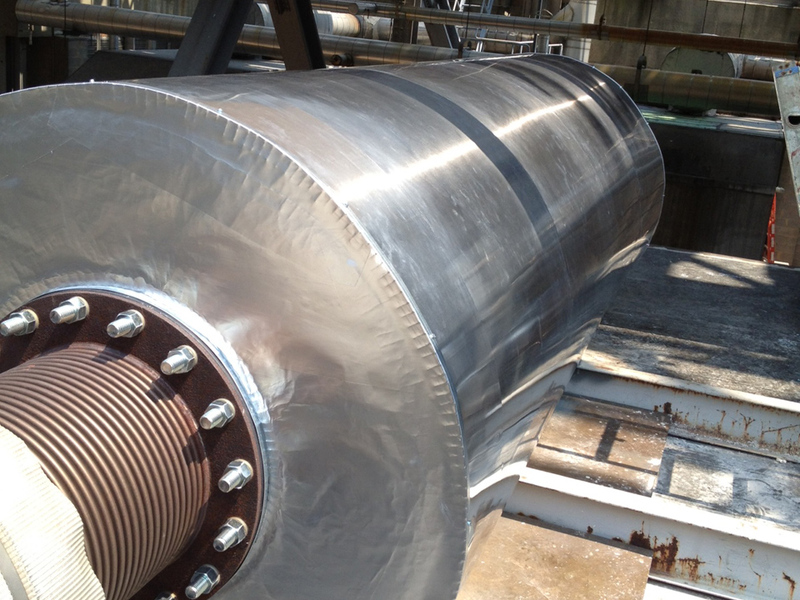 Fiberglass Pipe Covering, PVC Fitting Covers and Aluminum Shell on plate exchanger. Insulated with high temperature Ceramic Blanket and Aluminum Jacket. Insulated with Foam Boards and finished with Venture Clad Jacket. Very high quality workmanship. The finished product looks amazing, it seems that this company does not only wrap pipes but they create a work of art while doing so. The service was excellent from start to finish. I will use them again any time. © 2015 Liberty Universal. All Rights Reserved.